It is an exciting period for Ranbir Kapoor fans as after his upcoming film Brahmastra, he will appear in Karan Malhotra’s Shamshera and will play a double role in it, if a report in a leading daily is anything to go by. Shamshera, produced by Yash Raj Films, co-stars Sanjay Dutt and Vaani Kapoor. Sources, meanwhile, told the daily that apart from playing the lead role in Shamshera, Ranbir might also appear as the protagonist’s father and has been filming both roles simultaneously. It’s been 12 years since Ranbir made his debut but Shamshera will be the first film in which he will play a double role. "The film revolves around a dacoit tribe that is fighting for its rights and independence from the British Raj. Apart from playing the protagonist, Ranbir might also be seen as the central character's father. He has been shooting for both roles simultaneously. This is the first time in his 12-year-long career so far that Ranbir will play a double role,” a source was quoted as saying by the daily. Well, we hope this is true. 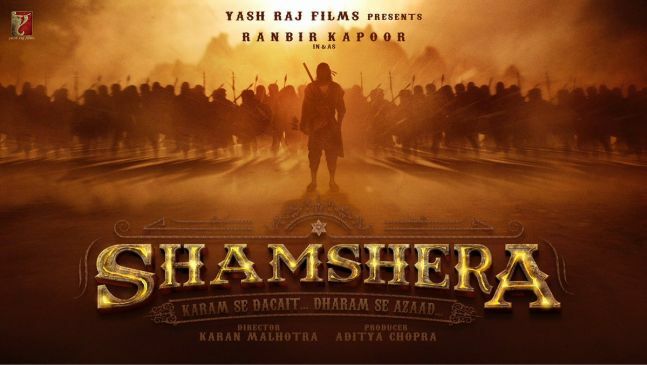 Shamshera is scheduled to release in 2020. As of now, Ranbir Kapoor is gearing up for the release of Brahmastra, co-starring Alia Bhatt and Amitabh Bachchan. Directed by Ayan Mukerji, Brahmastra is scheduled to release on Christmas.